Barely two months after the shelf life of the 2017 budget ended, details of the capital component amounting to about N1.58t have not been tidied yet into a single document to explain what project, and which contractor got what.Findings by The Guardian at the Office of the Accountant General of the Federation; the Budget Office of the Federation; the Bureau of Public Procurement, and at the Federal Ministry of Finance produced no positive outcome, as each of the agencies kept passing the buck. 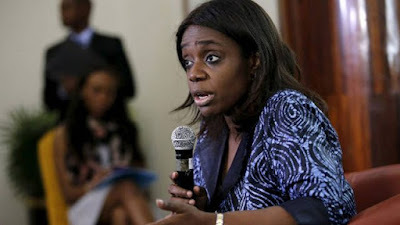 At the Finance Ministry, the minister, Mrs. Kemi Adeosun was said to be in a meeting when The Guardian called. One of her close aides who spoke, but asked not to be named said: “If you want this type of information on the details of the expenditure of the capital budget, you have to officially write so that we can piece the information together. The information you are seeking, the Finance Ministry alone cannot provide all that because contracting cuts across different agencies. There is no document here for now that can give you the kind of information that you seek because we have to approach other agencies involved in the implementation,” the aide emphasised. Adeosun, a day before the breakdown of the 2018 spending plan attempted to give a breakdown of how the N1.58t was deployed, but she limited the deployment to sectors.According to her: “A breakdown of the 2017 capital releases indicated that power, works and housing received the highest allocation of N523. 011b, which was 33.10% of the total capital releases. The sector also received the highest releases in the 2016 capital budget, which was a total of N307.411 billion (25.21%) of the 2016 capital budget. Meanwhile, for members of the upper chamber of the National Assembly, the critical question of how the 2017 budget for capital projects was spent would be best answered by appropriate officials in the executive arm.The lawmakers in separate telephone interviews with The Guardian drew attention to several efforts made by the National Assembly to hold the executive arm accountable to the people, particularly on matters of budget implementation. In the heated face-off between the Presidency and the National Assembly on the implementation of the 2017 budget and preparation of the 2018 budget, lawmakers had raised issues about contempt for parliament against some ministers and heads of agencies. “Look, we were in this country when ministers who should play serious roles in budget implementation were invited to answer questions but they simply refused to turn up. We were in this country when such ministers even refused to provide details of budget allocations to agencies within their purview. Have we also forgotten when the Senate took a resolution to report such ministers to the President? How many people even cared to find out what the outcome was? He queried. And for the Chairman, House Committee on Legislative Budget and Research, Mr. Timothy Golu, the mandate of implementing the budget lies squarely on the executive arm. “What concerns oversight with implementation? They are two different things. Our duty is to verify whether they implement it or not, we have always exercised our mandate in oversight duties. The executive’s job is to implement the budget while ours is to pass the budget and prevail on it to execute its provisions. The whole idea of oversight is to bring out issues that have not been done and the ones that have been done. “Have we ever forced the executive to do anything? The constitution is there and the duties and responsibilities of each of the three arms of government are clearly spelt out. It is left for Nigerians to identify who has failed to do its work.”However, Golu’s colleague and member, House Committee on Appropriation, Olatubosun Olajide Boladale, is canvassing immediate reform of the country’s budgeting system, maintaining that the subsisting budgeting system does not satisfy the yearnings and aspirations of Nigerians. The lawmaker who decried the appalling level of implementation of the capital component of the 2017 budget noted: “As a chartered accountant, these are issues I have discussed in various seminars and retreats. I think we need a public sector budgeting process reform. What we are doing now is garbage in, garbage out. Let me look at it from a private sector perspective. “I was in the private sector before coming here. If a company wants to prepare a budget, let’s say budget 2019 for instance, the chief finance officer after getting the policy objective from the board would communicate to each department, maybe production, engineering, logistics, and human resources. Now, each head of department would come before the executive management to defend their estimates in a kind of retreat, or brainstorming session, where all the executive directors would be seated and questions asked. It is after they have looked at it, reviewed it, ensure corrections that they would present the budget to executive management, who would in turn present it to the board of directors for approval. “In the public sector that is not the case. The Budget Office would do a budget call circulars to Ministries, Departments and Agencies (MDAs) intimating them that it wants to start budget 2019. Then everybody would send in their estimates, and when the estimates get to the Budget Office, it would make it available to the President. When they come for budget defence, they would tell you that that was what they sent to us. And we would be asking, is this not your budget? Who sent it to you and they would say the Budget Office. “What I think we should do is to have a process. It maybe very cumbersome and demanding, maybe starting from June of every year, a committee that includes legislators, members of the executive, civil society organisation, and other professionals from top accounting firms to serve as technical consultants. They would sit down over a period of three to four months to do serious work. “Every minister or head of agencies must appear before it to justify its presentations so that the committee can do a thorough job. The committee would thereafter recommend to the President, who all Nigerians voted for. By the time the President gets the budget, it would be a very good working document for him, and by the time the document gets to the National Assembly, we are not going to be sitting on it for five or six months. If it is presented in November, the document would be ready by the middle of December. IN a related development, poor book-keeping, profligacy and gross abuse of extant financial regulations in the public service characterised expenditure pattern in the 2016 fiscal year, thus making it difficult for funds to be tracked by those vested with that mandate, the Auditor-General of the Federation (AuGF), Mr. Anthony M. Ayine has declared.His position is contained in the just concluded, and belatedly submitted 2016 audited Federal Government Financial Account to the National Assembly. International Public Sector Accounting Standard (IPSAS) built within the framework of full disclosure. Ayine further told the National Assembly that his office had observed several mis-statements, discrepancies in figures between the Office of the Accountant-General of the Federation (OAGF); revenue generation agencies, FAAC and the Central Bank of Nigeria (CBN), both in accruals and expenditure, running to billions of naira in most instances with some departments, including the Office of the Chief of Staff to the President, the Office of the Chief Security Officer to the President, the State House Medical Centre and the State House Lagos Liaison Office said to have posted doubtful balances at the end of the 2016 financial year.